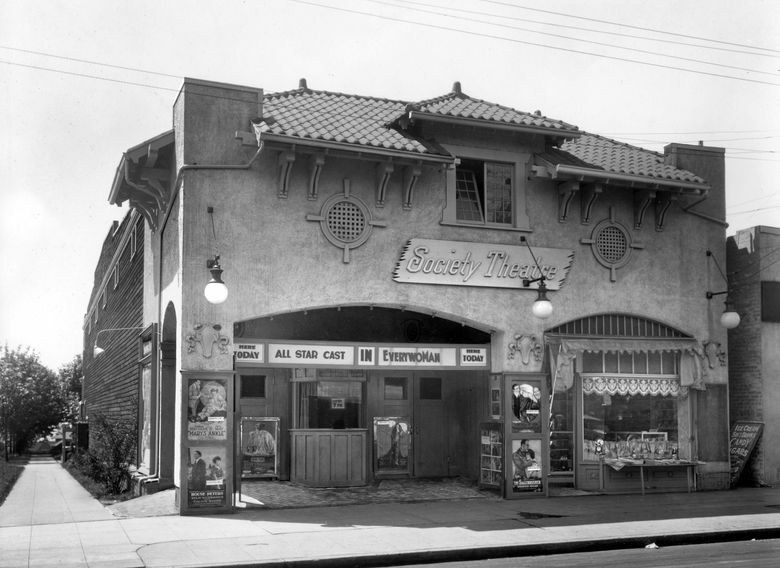 The Society Theatre opened on Capitol Hill in 1911 and changed its name to the Broadway in 1920. It closed in 1990. Built with speed, the Society opened its doors to its excited neighbors on Dec. 8, 1911, with “four reels of new films and two song specialists.” For that first night, the Society’s “specialists” would “consist of a male duet and a song by a young woman soloist. There will be no attempt at vaudeville, it is said.” Most likely, it was the Society’s manager, George W. Ring, who did the saying. 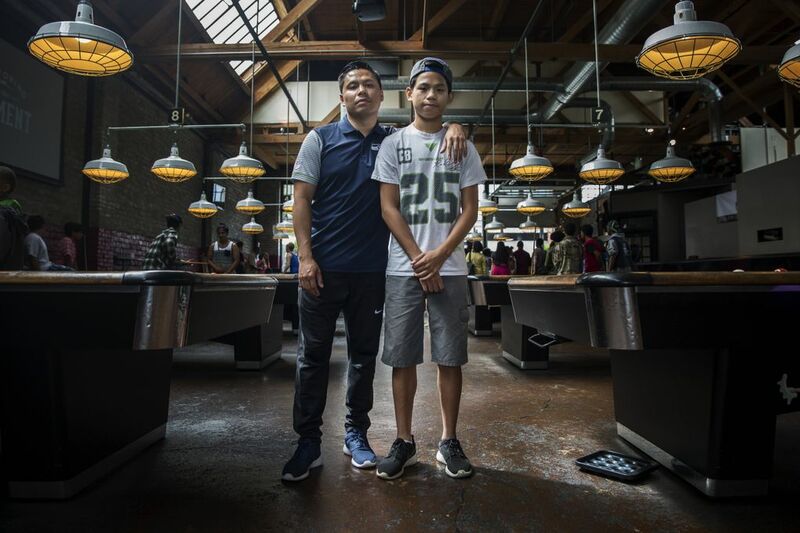 Up from Portland, Ring brought with him “a large expansive smile and several years’ experience in the moving picture game.” Managing neighborhood theaters included promoting neighborhood values, such as chumminess and convenience. One of the Society’s “modern conveniences” almost assured that there would be no delays for rethreading the projector: From the start, the Society had two, and both were Powers No. 6 moving-picture machines. On opening night, the two Powers moved pronto from “Old Billy,” a William Selig comedy, to “An Aeroplane Elopement,” a Vitagraph comedy-drama. Two scenic films and two biograph comedies and the specialists’ singing completed the opening night. Also in 1911, as a sign of the times, the Alhambra, one of downtown Seattle’s big stock and vaudeville theater venues, converted to showing motion pictures exclusively. In 1915, the Pantages Theatre opened as a terra cotta-clad palace for presenting whatever played well, including vaudeville, stage plays and film. After many adjustments, in 1966, the Pantages (later renamed the Palomar) wound up as a parking garage — the big one at the corner of University Street and Third Avenue. Up on the Hill, the Society changed its name to the Broadway in the early 1920s and continued to show films at its busy intersection until the winter of 1990. 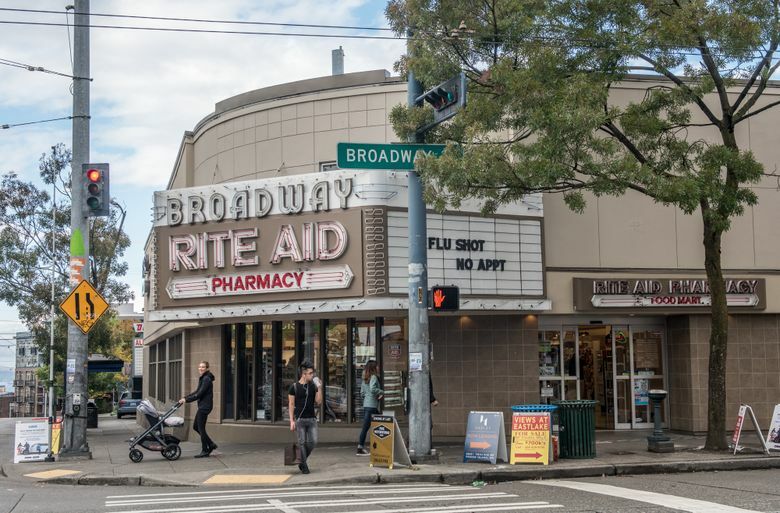 Rite Aid Pharmacy, its next-door neighbor to the north on Broadway, took over its place by expanding into the corner, while keeping the “Broadway” part of the theater’s vibrant neon marquee for promoting flu shots and such.